This article from Writers Helping Writers by Deborah Dixon, author, editor, and racial justice activist, addresses an issue that has troubled me and that should, in my view, be of concern to us all. Not everyone may agree with Dixon on every point, but as a middle-class white woman (raised in the south at the end of Jim Crow and on the edge of the Civil Rights Movement) trying to produce writing that entertains yet does no harm, I’ve struggled with how to or whether to develop minority characters in my work (as well as how to address socially problematic themes). I don’t want to preface this post with an extended essay on my own consciousness—there are probably better places for that, if it needs to be written at all—but I do want to say that when I wrote the novels that were published in the 1980s, I was massively ignorant and insensitive (though perhaps not insensitive enough to commit most of the more egregious mistakes). 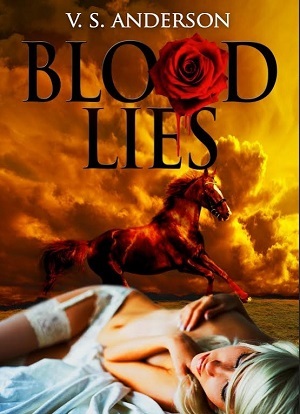 When I returned to these books to self-publish them, I reread them with more awareness and indeed made some changes, so that I hope people buying my two republished books purchase those and not the earlier versions (this is truer of Blood Lies than of King of the Roses, although I still sometimes consider further edits of that book). My depictions of characters came from my experience of the people around me in the horse world. That those experiences were incomplete goes without saying. In my defense, I think that in those books, I write about a range of characters with many nuances, good people and bad. In any case, Dixon’s discussion gives me some guidance, and with that guidance, perhaps some confidence going forward that will allow me to take risks I’ve probably been shying away from. Even if you don’t agree with every request Dixon makes of us, I hope you will agree with me that it is better to make decisions about representation thoughtfully, with our eyes open, even if we don’t always get it all exactly right. Have you ever struggled with representing people different from you in your writing?